Just over a year after its release, the music video for BTS’s “Blood Sweat & Tears” has reached 200 million views! “Blood Sweat & Tears” is the hit title track from BTS’s second studio album “WINGS,” which was released on October 10, 2016. The music video reached 100 million views in February. On October 29 at about 5:45 p.m. KST, the “Blood Sweat & Tears” music video hit 200 million views. 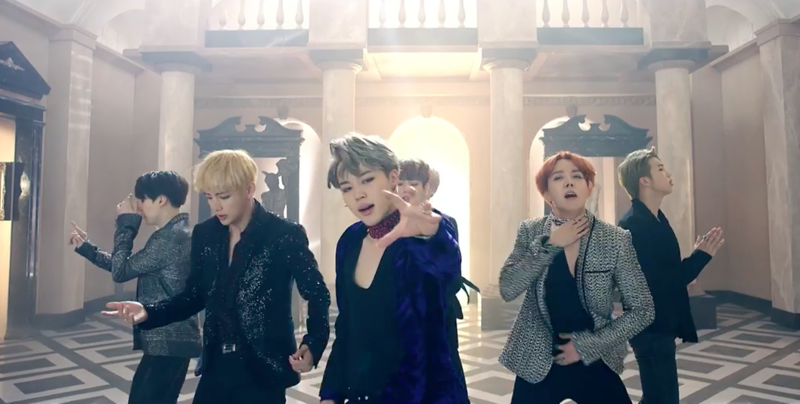 This is the group’s third music video to achieve the feat, following “Dope” in August and “Fire” in September of this year. The other K-pop artists with music videos that have reached 200 million views are PSY, BIGBANG, TWICE, and BLACKPINK.